This article is about the urban legend. For the film, see The Mole People (film). For other uses, see Mole Men (disambiguation). Mole people (also called tunnel people or tunnel dwellers) are homeless people living under large cities in abandoned subway, railroad, flood, sewage tunnels, and heating shafts. The term may also refer to the speculative fiction trope of an entirely subterranean society. Dark Days, a 2000 documentary feature film by British filmmaker Marc Singer follows a group of people living in an abandoned section of the New York City Subway, in the area called Freedom Tunnel. Jennifer Toth's 1993 book The Mole People: Life In The Tunnels Beneath New York City, written while she was an intern at the Los Angeles Times, was promoted as a true account of travels in the tunnels and interviews with tunnel dwellers. The book helped canonize the image of the mole people as an ordered society living literally under people's feet. However, few claims in her book have been verified, and it includes inaccurate geographical information, numerous factual errors, and an apparent reliance on largely unprovable statements. The strongest criticism came from New York City Subway historian Joseph Brennan, who declared, "Every fact in this book that I can verify independently is wrong." Cecil Adams's The Straight Dope contacted Toth in 2004, and noted the large amount of unverifiability in her stories, while declaring that the book's accounts seemed to be truthful. A later article, after contact with Brennan, was more skeptical of Toth's truthfulness. While it is generally accepted that some homeless people in large cities make use of abandoned underground structures for shelter, urban legends persist that make stronger assertions. These include claims that "mole people" have formed small, ordered societies similar to tribes, with members numbering up to the hundreds, living underground year-round. It has also been suggested that they have developed their own cultural traits and even have electricity by illegal hook-up. Other journalists have focused on the underground homeless in New York City as well. Photographer Margaret Morton made the photo book The Tunnel. Film maker Marc Singer made the documentary Dark Days in the 1990s, and a similar documentary, Voices in the Tunnels, was released in 2008. In 2010, anthropologist Teun Voeten published Tunnel People. Media accounts have reported "mole people" living underneath other cities as well. In the Las Vegas Valley, it is estimated about 1,000 homeless people find shelter in the storm drains underneath the city for protection from extreme temperatures that exceed 115 °F (46 °C) while dropping below 30 °F (−1 °C) in winter. According to media reports, the "mole people" living in the tunnels underneath Las Vegas have managed to furnish their "rooms." In one ABC News report from 2009, a couple, who had been living in the tunnels for five years, had managed to furnish their home with a bed, bookcase and even a make-shift shower. The tunnels are prone to flooding, which can be extremely dangerous for the tunnel's residents. Most lose their belongings regularly, and there have even been some reported deaths. 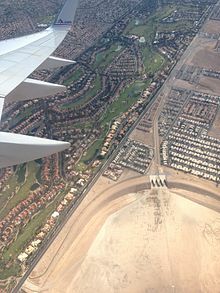 Most of the inhabitants are turned away from the limited charities in Las Vegas and find shelter in the industrial infrastructure of the Las Vegas Strip, similar to most cities. The Las Vegas Channel 8 News sent their Eyewitness News I-Team with Matt O'Brien, the local author who spent nearly five years exploring life beneath the city to write the book Beneath the Neon. O'Brien also founded the Shine A Light Foundation to help the homeless people taking refuge in the tunnels. The charity helps tunnel residents by providing supplies, such as underwear, bottled water and food. According to the Clark County Regional Flood Control District, the valley has about 450 miles (720 km) of flood control channels and tunnels, and about 300 miles (480 km) of those are underground. A September 24, 2009, article in the British paper The Sun interviewed some of the inhabitants of the Las Vegas Valley mole people, and included photographs. The first and most famous example of "mole people" are the Morlocks, who appear in H.G. Wells's 1895 novel The Time Machine. Conceptually linked to the Morlocks are socially isolated, often oppressed and sometimes forgotten subterranean societies, most often seen in science fiction. Examples include Demolition Man, Futurama (in the form of "Sewer Mutants"), C.H.U.D., and The Matrix. Another version is literally a race of humanoid moles. Examples include The Mole People (1956), Underdog, Tarzan, Lord of the Jungle, ThunderCats, and Johnny Test. In Marvel Comics, two very different underground "mole people" societies exist: the Morlocks, a society of mutant outcasts, named after the subterranean race from H.G. Wells' novel, that live in the abandoned tunnels and sewers beneath New York City; and the inhabitants of Subterranea, a fictional cavernous realm far beneath the Earth's surface where various species of subterranean humanoids exist. The Moloids (or Mole People) are the inhabitants of Subterranea most commonly depicted in the comics. Moloids usually serve as soldiers for the Mole Man, a human from the surface world who discovered Subterranea and subsequently became ruler of the Moloids. Mole Man is frequently an antagonist of the Fantastic Four. ^ "The Tunnel People of Las Vegas". Daily Mail. 3 November 2010. ^ Pat Hartnan (14 December 2010). "Homeless People Go Underground". Housethehomeless.com. ^ Debruge, Peter (10 November 2000). "Dark Days: How a Manhattan Homeless Community Helped Make the Year's Most Stirring Documentary". The Austin Chronicle. Archived from the original on 20 December 2002. Retrieved 20 December 2002. ^ Goodman, Amy (30 August 2000). "INTERVIEW: Dark Days: The Ultimate Underground Film". IndieWire. Archived from the original on 13 June 2017. Retrieved 13 June 2017. ^ Toth, Jennifer (1993). The Mole People: Life in the Tunnels Beneath New York City. Chicago, Illinois: Chicago Review Press, Incorporated. ISBN 1-55652-241-X. ^ Brennan, Joseph (1996). "Fantasy in The Mole People". ^ Adams, Cecil (2004-01-09). "Are there really "Mole People" living under the streets of New York City?". The Straight Dope. Chicago Reader, Inc.
^ Adams, Cecil (2004-03-05). "The Mole People revisited". The Straight Dope. Chicago Reader, Inc.
^ Morton, Margaret (1995). The Tunnel. The Architecture of Despair. New Haven, London: Yale University Press. p. 169. ISBN 0-300-06559-0. ^ Voeten, Teun (2010). Tunnel People. Oakland, CA: PM press. pp. 320, includes one map and one 16–page b&w photo insert. ISBN 978-1-60486-070-2. ^ "Tunnel People: The Hidden Community Living Under Las Vegas". Best UK Online Casino Sites 2018 - Licensed by Gambling Commission. Retrieved 2018-10-08. ^ "I-Team: 'Beneath the Neon' -- Underground Las Vegas". 8newsnow. ^ Samson, Pete (2009-09-24). "Lost Vegas: The People Living in the Drains Below Las Vegas". The Sun. ^ "Mole Men". TV Tropes. Retrieved 2015-09-25. Haughney, Christine (February 6, 2012). "The Fiery End of a Life Lived Beneath the City". The New York Times. Landowne, Youme; Horton, Anthony (Oct 1, 2008). Pitch Black. El Paso, TX: Cinco Puntos Press. ISBN 978-1-933693-06-4. Morton, Margaret (1995). The Tunnel: The Underground Homeless of New York City. Yale University Press. NYU Portfolio Review: The Mole People – Jennifer Toth, The Mole People: Life in the Tunnels Beneath New York City – Chicago Review Press, 1993. Straight Dope article: Are there really "Mole People" living under the streets of New York City?